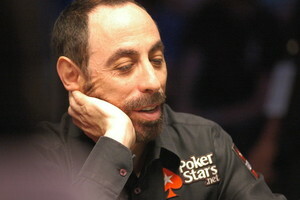 This weekend Barry Greenstein took what seemed like a really bad beat, and it happened at the valet parking line at the San Diego Mission Hills Marriott where Barry Greenstein, the “Robin Hood of Poker”, found his Aston martin DB9 had been stolen from the valet parking lot while Greenstein was playing at the nearby Palomino Card Club. Apparently the valet had made a mistake and given the car to someone else, perhaps the one person in the world who would be handed the keys to an Astin Martin and do what he did… The “thief” decided to give Greenstein’s car a thorough cleaning and then parked it in the self-park area of the hotel! When he was apprehended he said he was told to detail the car. So, it seems that even when his car gets stolen, Barry Greenstein runs really good! This entry was posted on Tuesday, August 9th, 2011 at 11:25 am and is filed under Poker News. You can follow any responses to this entry through the RSS 2.0 feed. You can leave a response, or trackback from your own site.